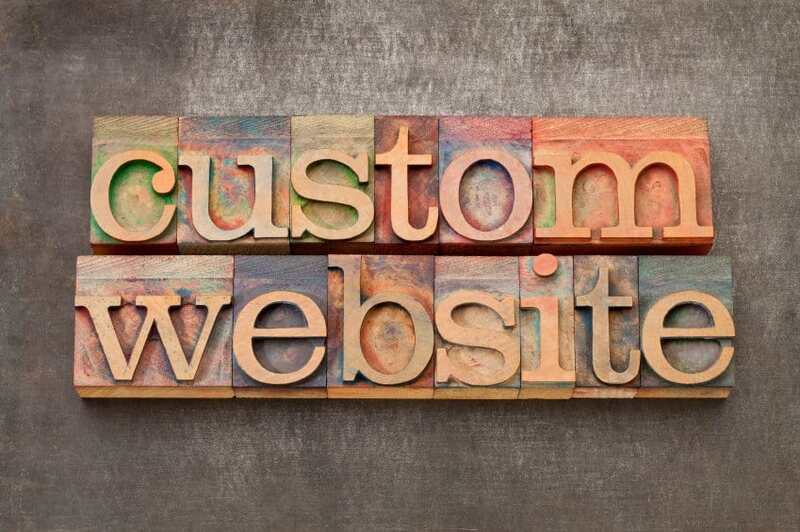 A few weeks ago, I put together a series of blog posts on how to create a website and tailor it to perform as a buying site, a selling site or a blog for your real estate business. Each of these blog posts took me a long time to put together – but I felt it was worth my time because I know that websites can be extremely powerful for your business. However, there was one type of website that I neglected to mention and I'd like to cover it for you right now. Today I'm going to give you a step-by-step tutorial on how to create a squeeze page for your real estate business. A “squeeze page” (also known as a “landing page”) is pretty simple. It's a single web page, designed for the purpose of capturing information from visitors (usually names, email addresses and occasionally, phone numbers). Most of us have stumbled across one or two squeeze pages in our lives. They're generally seen as an annoying, spammy gimmick of the internet (because most of them are pretty poorly designed), but the fact is – a well-designed squeeze page (one that looks good and provides compelling reasons to sign up) can be extremely effective at building LISTS for your business. Many investors (myself included) use these types of websites for the purpose of building a “Buyers List” (i.e. – a group of like-minded investors who have expressed interest in hearing about the future properties you're bringing to the market). You can also let these people know about other products or services that may interest them IF you do it sparingly (and as long as you're not being a sleazy salesman about it). Since I've always used squeeze pages for the purpose of building my buyers list, that's what we're going to focus on below. Why Is A Buyers List Important? A buyers list is a great way for you to take control of your sales process. When most people list their property for sale, their control is very limited. All they can do is post it on as many sites as possible and hope that the right buyer stumbles across their listing. This can certainly work eventually, but it can also take a lot of time and patience (especially if this is the only method you're relying on). The beauty of a Buyers List is that you can blast your property listings out to thousands of people and make them see what you have to offer (rather than waiting for them to notice you). If you've ever been stuck with a property on the market that just won't sell (which is one of the most helpless feelings in the world) – you can probably imagine how important and powerful a good Buyers List can be. Instead of posting, re-posting and re-re-posting your listings all over the internet and taking the “hope and pray” approach by waiting for people to contact you… what if you could take control the situation and sell your next property with one email? Building an audience of hungry buyers can have a HUGE effect on how quickly your properties sell! The system I've been using to create my squeeze pages is called Lead Propeller and it has made it extremely easy for me to create and modify these simple websites for my business. Note: Don't forget to use promotional code RETIPSTER upon checkout, you’ll get an instant 75% discount on your first month of service. As you can see – this process isn't complicated. If you follow the prompts on each page, you can easily have your website online within minutes from now. Note: Some of the links in this blog post are affiliate links and at no additional cost to you, I will earn a commission if you purchase one or more of these resources. I recommend these resources because they are helpful and useful, not because of the small commissions I will make if you decide to buy something. Please do not spend your money on these things unless you feel they will help you achieve your goals. Lead Propeller is Ridiculously Easy to Use. I'm not kidding. You don't need to know anything about building websites in order to get started with this program! They provide dozens of video tutorials that will show you every step you need to take in order to get your first (or hundredth) website up and running. 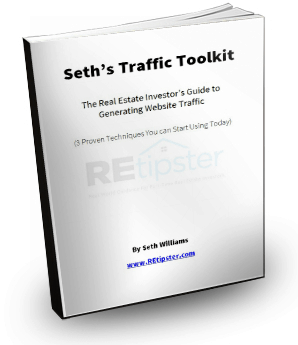 Let's be honest – most of us specialize in real estate investing, NOT website development. Why should we have to become experts in a whole other field just to get a simple website up and running? Knowing how easy it is to create beautiful squeeze pages that convert like crazy, I really can't recommend anything else to the investors I work with. It's quite simply the easiest AND most cost-effective way to get your landing page up and running today. It's also worth noting that with Lead Propeller, you're not just getting one website, you're getting three websites. Proven and effective content included (so you won’t have to “make up” anything new to say). Your sites are fully customizable through an editor that doesn’t require any coding knowledge. The system uses a “mobile responsive” design, so your site will look great on any device. Comes with pre-built forms that can relay information to you via email AND an instant text message. Integrates with email marketing providers like MailChimp, Aweber, Constant Contact and GetResponse. You can easily add a WordPress blog to any Lead Propeller website. Lead Propeller sites are built specifically for real estate investors, by real estate investors. Comes equipped with dozens of video tutorials on how to optimize and promote your site. Includes templates for buying sites, selling sites, renting sites and wholesaling sites. In-house support available by phone and email. If you're serious about getting a new squeeze page up and running, this is a tool you really ought to have in your toolbox. Do You Need A Squeeze Page? Let's best honest about this – do you absolutely NEED a squeeze page for your real estate business? A website like this won't solve all your problems BUT, if you want to build a solid list of buyers (one that will make it much faster and easier to sell properties, saving you months of lost time, money and energy along the way), a well-designed website is one of the best ways I know of to do it. Trust me – this is an extremely helpful tool to have at your disposal. That’s why I'm promoting Lead Propeller. At the end of the day, it’s a huge time-saver and a money-maker. Since I'm a referral partner for both Lead Propeller and MailChimp (i.e. – I make a few bucks if/when you make a purchase through the various links above), I wanted to give you something extra special if you decide to use either of these services. I took some time to write a detailed report explaining the in's and out's of how I've managed to generate a lot of quality traffic for my various websites (several thousand unique hits per month and growing). 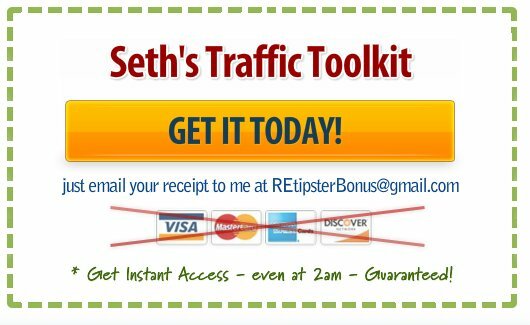 I want to show you how to generate the same kind of traffic for your website. If you make a purchase through any of the links above, simply forward your receipt to me at REtipsterBonus@gmail.com and within 24 hours, I'll email you back with a link you can use to download a copy of this guide. I could easily sell this report right here at the bottom of this post, but instead – I want to make available as a special “thank you” for those of you who are helping me keep this site afloat. Investor Carrot Review: Is This the Best Website for Real Estate Investors? nice post and informative tutorial. thanks a lot for sharing such ideas. No problem Azzu, thanks for checking it out! I would guess that a squeeze page to create a buyers list could be the number one priority for any wholesaler. Wow, thanks so much Darwin, I really appreciate that kinds words – that means a lot! I’m thrilled that this tutorial was able to help you out (and I agree, a good squeeze page can be a HUGE asset to someone in the wholesaling business). Would you recommend investor carrot or lead propeller. Hi Stephen! I’ve only had experience with Lead Propeller to date, and I’ve been pretty happy with it. What is the real value of lead propeller beyond my own website that I already have? Is the magic in SEO? Is it expected that I will get X more hits and names from putting a property on lead propeller vs my own site?